Looking for Ahrefs Alternatives? Your Search Ends Here! You can feel as though you’re now being forced to buy their premium product. They know you need it, which means you’re going to have to give up the cash if you want to use it. The truth is you’re going to have to pay for a premium SEO tool at some point. And while Ahrefs is a seriously powerful tool, it pays to know what your Ahrefs alternatives are and what you might be missing out on if you decide to go with them. What Is SERPed And How Can We Help You? 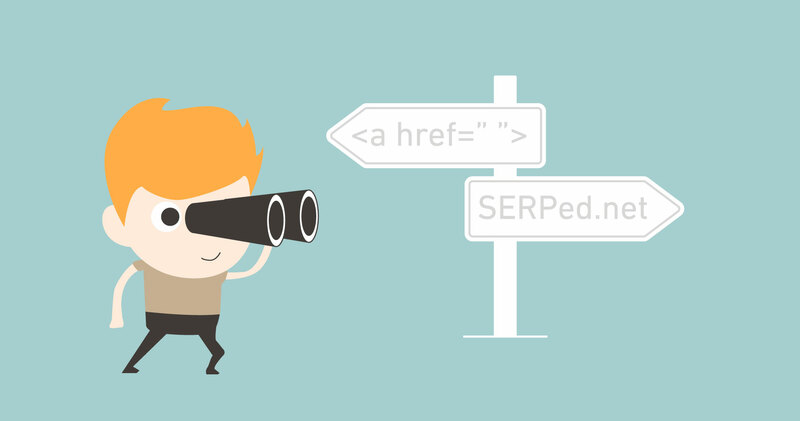 SERPed is a comprehensive SEO suite of tools that is trusted by over 4200 online businesses, marketers and affiliates around the world. And our goal is simple: solve all of your SEO problems with one, simple, easy to use tool. Back in the late 2000’s I found myself with a problem. I was overworked and overwhelmed trying to run my SEO business. I was investing thousands of dollars into different tools that would be spread out across loads of browser tabs. Plus the data I was getting just wasn’t helping me get the exact results I wanted. So I decided to build myself a tool where I could get the accurate data I needed, under one roof. I wanted all my SEO solutions housed in one place. Taking the 40 most essential tools – as needed by me, and other higher performers in the industry – I created SERPed. A tool which is now available to you, too. A simple, easy to use tool that gives you the most powerful SEO data available. Without draining your productivity or bank account. We’re not as big as Ahrefs, in fact, super tiny by comparison. That means we can’t afford to make mistakes. We have to be sure our service is fast, our data is accurate and our interface is easy to use. It also means that for $20 per month less than their cheapest plan, you can access over 28 more tools than Ahrefs gives you, with more results for every tool we do share. For example we allow you to track up to 25 sites and 2,250 keywords in comparison to the just five sites and 300 keywords that they’ll give you. That’s just scratching the surface too. Our tools will also help you curate content, find new backlink opportunities, add new clients, scrape expiring domains, get more social shares, build PBN’s and uncover the most profitable keywords for your business. Simply put, we want you to have more data that helps you rank higher, grow your traffic and increase your income. All of it housed under one roof for your access. If you do client SEO or just want to put out nice reports for yourself, having all the tools housed in one suite is very beneficial as it allows you to generate comprehensive reports with your branding, in just a few clicks. I’m sure you’d like a more visual look at what it is that we offer, so here’s a comparison table so you can see exactly where we compete:Gives keyword ideas along with the following data points:Keyword Difficulty (KD) score for each keyword. 2) What Ranks Where: Just enter your site URL and see all the keywords your site ranks for. You get ranking for both Organic and Paid keywords. 3) Keyword Analyzer: Get top-10 search results for any keyword. Not just it, the tool also gives the Keyword Difficulty (KD) score for each keyword. Knowing how tough / easy it is to rank for a targeted keyword was never so easy. You can even choose which particular search engine you want to get long tail keyword suggestions for. Domain Comparison You can compare up to 5 domains (including your own). A part of ‘Site Manager’ tool, it allows you to compare your domain with maximum 3 other domains at one time. If you are not not sure about which version of your site is stronger, this is a godsend tool for you. Learn more about Site Explorer here. Content Explorer / Content Curator Provides the top content available for any seed or long tail keyword. Curates content for any seed or long tail keyword. In addition to curating the text conte, it also curates ‘Image’ and ‘Video’ content. Batch Analysis / Bulk URL Analyzer 1) You can analyze up to 200 URLs in one go. 1) You can analyze up to 200 URLs in one go. Hopefully by now you can see that SERPed allows you to do more for less money and time invested overall. Ahrefs are amazing at what they do, but our focus is on providing a wider scope of usage under one roof. If you were to upgrade your Ahrefs account you’d get more of what you already know, and you’d still need other tools to get the important work done. But if you choose to SERPed you’re going to be able to eliminate all of your other tools, get more results from the tools we have in common and grow your business through SEO much, much more effectively. Apply for membership right here and start growing your business through SEO. 1 What Is SERPed And How Can We Help You?